December 2014 Undoing Racism Training. 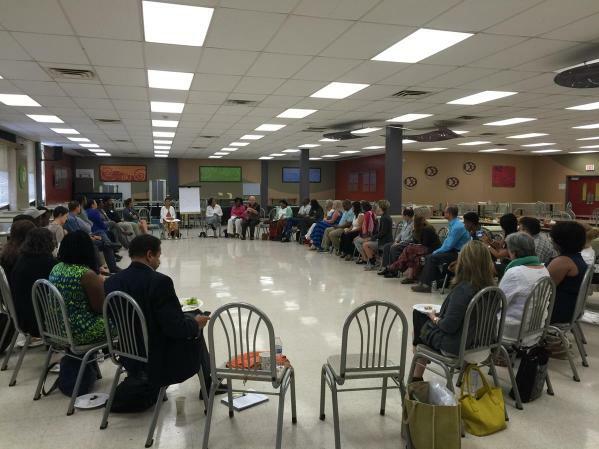 The July 27-29 Undoing Racism Workshop held at LBJ Early College High School was sponsored in collaboration with Austin ISD Cultural Profiency & Inclusiveness. This workshop was rich in community organizers and groups who have a passion and vested interest in the success of students in Austin ISD schools. The group assembled has gone on to organize in their respective places, some of the work being done by this group since the workshop: Huffington Post Article (included in this email), annotated list of books referenced in the workshop, staff professional learning developing critical lovers of the systems, participation in a Poverty Simulation, designing spaces for critically reflective dialogue personally & professionally, community equity audit, campus cultural proficiency team and the list goes on. Austin ISD Research & Evaluation Dept.